DRAW REVIEW: The 2010 Challenge Cup winners will play against the Macedonian side, while the Last 16 draw pitted 2013 runners-up against the Romanian club. 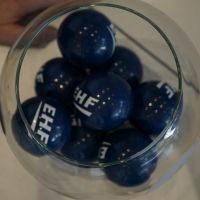 The 2010 Men's Challenge Cup winners and one of the main contenders in this season's edition Sporting CP will lock horns with Pelister Bitola from FYR Macedonia after the Last 16 draw at the EHF headquarters in Vienna have determined all eight pairings. The 2013 runners-up Handball Esch, who are still holding the best Luxembourgish result in the European Cup history, will meet AHC Potaissa Turda from Romania, while the second Luxembourgish team HB Dudelange play against Ukraine's HC ZNTU-ZAB Zaporozhye. First leg matches of the Last 16 will be played 18-19 February 2017, the reverse fixtures will follow one week later.